Chromium boosts the effectiveness of insulin, which helps keep your blood sugar at optimal levels. Chromium polynicotinate is a picolinic acid bounded with chromium. It is more effective than any other type of chromium bounded acid, as it binds the elemental chromium to niacin. This is more absorbable in the body. 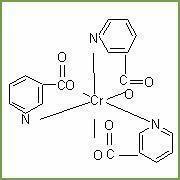 In pharmaceutic industry, it is used as drug intermediate. Chromium polynicotinate is a chromium bound to picolinic acid. 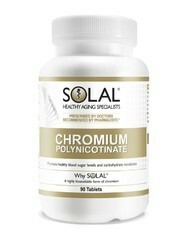 Chromium polynicotinate is more effective than any other type of chromium, as it binds the elemental chromium to niacin (vitamin B-3). This provides a biologically active form of chromium, which is more absorbable in the body. The chemical is a drug intermediate. Chromium Polynicotinate is a picolinic acid bounded with chromium. It is more effective than any other type of chromium bounded acid, as it binds the elemental chromium to niacin. Chromium polynicotinate is form of chromium, which play a role in increase the activity of insulin, energy production, and help the synthesis of cholesterol, fats and proteins.